'Tis the season for those big juicy globes that bring delight to all and are such a radiant symbol of summer. That's right, I'm talking watermelons. Here's a round up of watermelon uses from elegant to campy. This is one of my favorite recipes. I see it on restaurant menus more and more these days, but I still find it an unexpected pleasure to serve at home. Plus it is easy and doesn't require ANY cooking (which is a great advantage on a hot day). 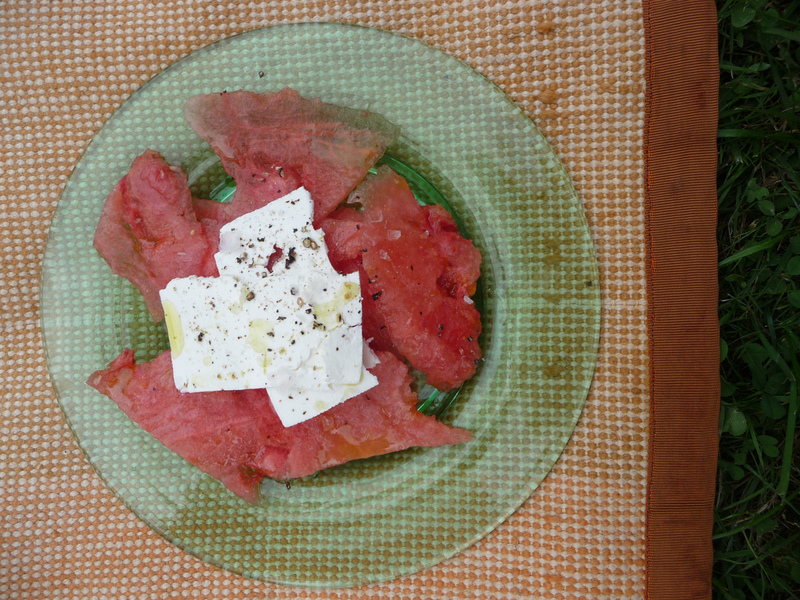 Arrange sliced watermelon on individual plates, then place feta slices on top. Drizzle with olive oil, then sprinkle with salt and pepper. Ta-dah! 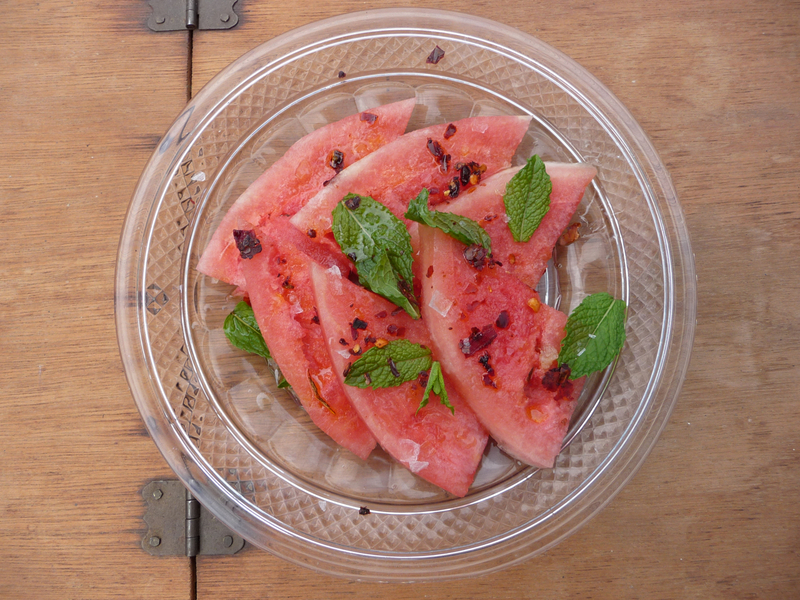 Arrange sliced watermelon on individual plates and sprinkle with mint. Drizzle with olive oil, then sprinkle with salt and chili flakes. This whimsy just tickles my fancy because we've had a resident porcupine in my parents' garden for the past two years. She/he waddles out in the late afternoon to fill up on greenery and in the process trims our hedges. Note: It takes about 2 days for a watermelon to soak up 2 cups of vodka, so do it in the fridge and ahead of time. This game is reminiscent of the days of summer camp. 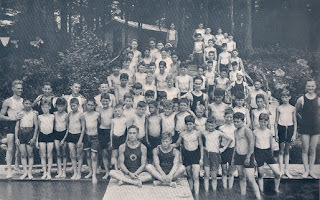 It can be played in a pool or at the lake. Grease a watermelon using Vaseline or Crisco. Divide your players into two teams. 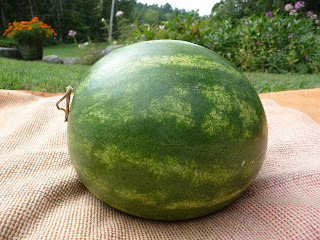 The objective is to get the slippery watermelon to the "goal" without picking the watermelon up out of the water. (In a pool, the goals would be two opposite walls. In a lake, use two buckets weighed down with rocks to keep them submerged, and set them up about a pool-distance apart from each other.) I promise, this is harder than it sounds.